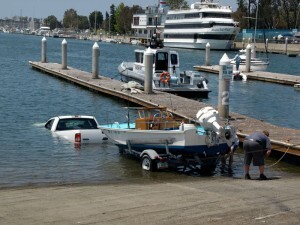 How Not To Launch The PRSA Committee Boats! Photo courtesy of Keith Strasser. Jeff Neurauter Takes First PLace in the Buccaneer Class at the SMSA Small Boat Invitational! We had two great days on the water at Solomons last weekend, with sunny skies, temperatures in the mid-70s, and northerly breezes at 8 – 12 MPH on Saturday and southeasterly breezes at 6 – 7 MPH on Sunday. Only four Lightnings competed, so they were lumped with 3 Albacores, 2 Interlakes, a Flying Scot, two Force-5s, a Capri 14 and a JY 15 into a Portsmouth Class for scoring. On the race course also were 14 Buccs (Aarrghhh); 6 Lasers; and 5 Windmills. Congratulations to PRSA’s Jeff Neurauter who took first place in the Buccaneer class! Hello fabulous Leukemia Cup supporters! First and foremost, a Big, HUGE, heartfelt THANK YOU to each and everyone of you for your contributions to this year’s Leukemia Cup Regatta. Whether you sailed, volunteered, fundraised, registered, race committee your participation and time played a part in a very successful and enjoyable weekend for all! IMPORTANT NOTE: Look for revisions to the NOR and SIs to be posted Saturday Morning as follows: LASERS sail Upper Course, Saturday Only; Other small (lower course) boats sail in the cove. President’s/Leukemia Cup Regatta September 12/13 – This Coming Weekend! Hey everyone, our big regatta of the year the President’s/Leukemia Cup is this coming weekend! Here is the NOR. Here is the PRSA on-line Registration Form. See who is coming. For the past three years a PRSA member, found a way to promote our sport and help others. attached here are the two flyers from this year and below is a cut out from the write up in the Baltimore Sun. Every event each year all sailors are invited. 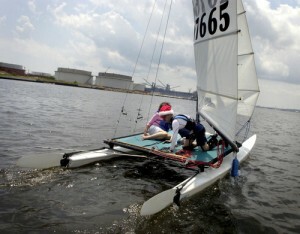 It started as a Hobie Cat ride but that is not set in stone. If you search our PRSA Yahoo Group message you can find the PDF on the 1st year and 2nd year just for reference.